To say that sports car racing in the Southern United States is a challenging subject to research is like saying the sun is very hot or that rocket science is, well, rocket science. That Willem Oosthoek has now presented us with a second volume in his study of this difficult, esoteric subject is reason to celebrate. It is literally a massive effort, the book weighing in at well over eight pounds (8.4 pounds on our scales or 3.8 kilograms), and an oversize format of 13 x 9¼ inches. It has all the physical attributes of a coffee table book but none of the fluff associated with that species. It is a serious, meticulous, substantive tome; the publisher states that this volume is 60% larger than the inaugural volume covering 1957 and 1958 and there is no reason to doubt that this is indeed the case. Strictly speaking, given that the geography considered in this volume ranges from New Mexico eastward, the subtitle Texas to Florida is a bit misleading. It was also used in vol. 1 so at least Oosthoek is consistent on that count. The events in vol. 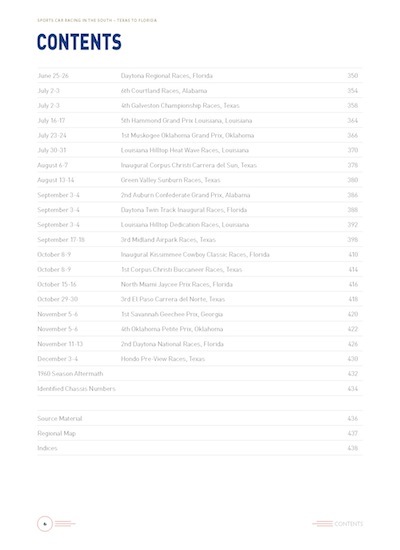 2 cover 29 venues in eight states: New Mexico, Texas, Oklahoma, Arkansas, Louisiana, Alabama, Georgia, and Florida (other Southern states like Mississippi, Tennessee, North Carolina and South Carolina did not host events in that period). One of the nice touches in this volume is evident right at the beginning of the book which revisits the preceding two seasons, 1957 and 1958, so as to create context for the two years the new book concentrates on. This is much more user-friendly than pushing such material to an addendum in the final volume—or simply skipping it altogether! 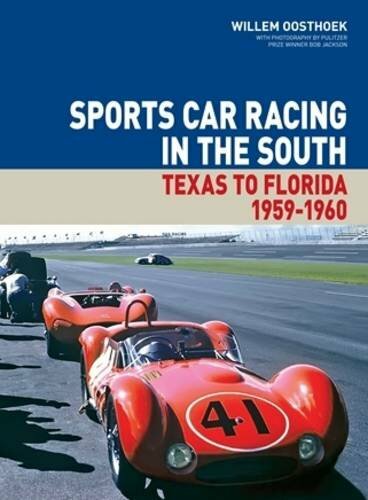 With the exception of the 12-hour races held at Sebring or, perhaps, the 1,000 kilometer race held at Daytona in April 1959 as part of the United States Auto Club (USAC) Road Racing Championship, most of the events covered here would have to be considered “minor.” Few even rose to the level of an SCCA National event and most are Regional ones, the bottom rung on the ladder of racing events. Which, naturally raises the question as to why devote such effort at all to what are really only “mere” club events? This is, of course, an absurd question when you consider even the brief words that Oosthoek devotes to that idea in the Preface. 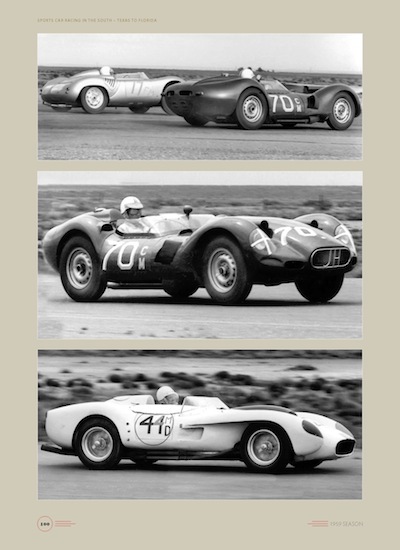 It was the challenge, the notion that here was a “black hole” in the history of American automobile racing. 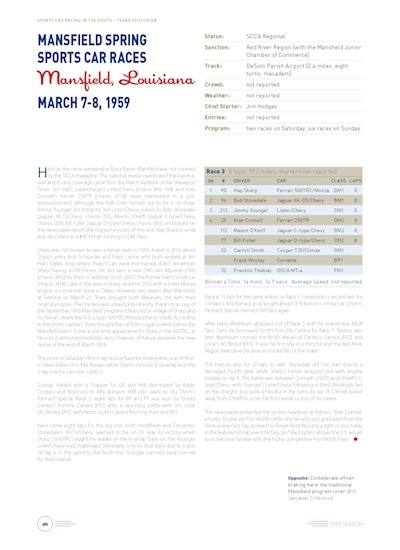 Although a number of the cars and drivers participating in these events did gain some level of national recognition—before or after this period, very little was known regarding these events. Having myself examined this topic some years ago, “black hole” is indeed an apt description if there ever was one! I was quickly convinced that this would take far more time and resources than I could devote to the research that would be necessary to even begin to skim the surface, much less be able to produce anything of depth. The materials, archival and otherwise, either were very sketchy or just did not seem to exist. This is simply a superb book. Well-researched and beautifully presented, it should serve as a reminder that there is much to be said for avoiding the low-hanging fruit and simply plowing the same old furrows in both one’s research efforts as well as one’s reading—the latter especially. I am normally not particularly all that interested in SCCA club racing, for a variety of reasons, but I found myself thoroughly enjoying this book. 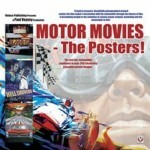 Volume I won the Society of Automotive Historians’ 2012 Cugnot Award. Vol. 2 is of the same caliber—once the third volume is published a whole new award may have to be created to properly recognize such a sustained multi-year, multi-volume effort.